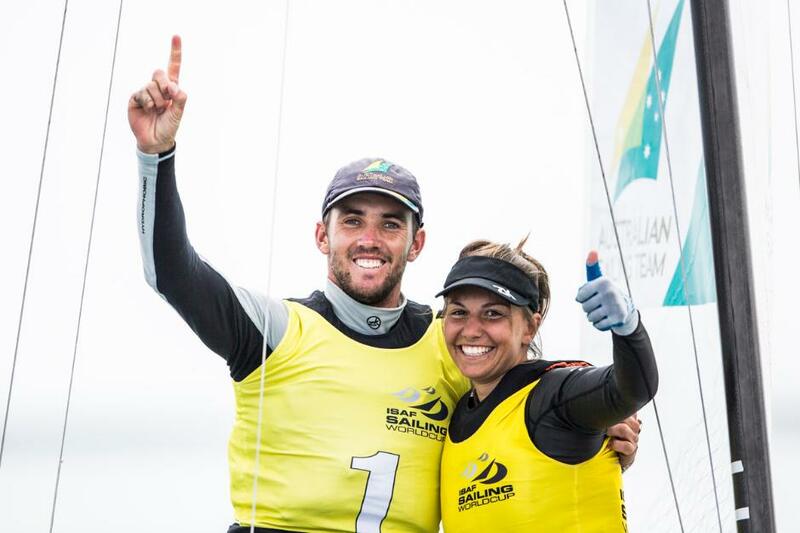 Further selections to the Sailing Section of the 2016 Australian Olympic Team will take place in May, with a total of 12 sailors expected after nine Olympic boat classes have secured country qualification for Australia. 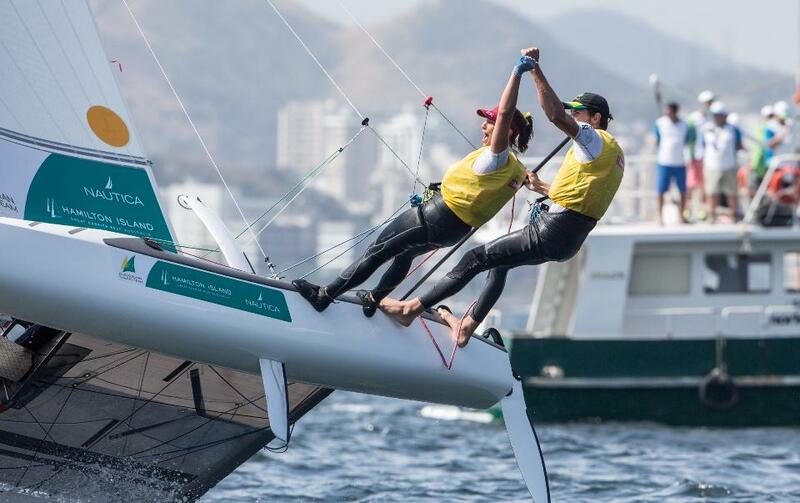 Australia has secured a spot at the Rio 2016 Olympic Games in the Men’s and Women’s 470, Laser, 49er, 49er FX, Nacra 17, Finn, Women’s RS:X as well as Laser Radial. The men’s RS:X is the only boat class Australia did not expect to qualify. Modern Pentathlete siblings Max Esposito and Chloe Esposito were the first members of the 2016 Australian Olympic Team named back in July. The addition of these six sailors has the current team now standing at eight athletes. The next selections are expected to be Canoe-Slalom in February. By the middle of July 2016 an anticipated 450 athletes will have been selected. Congratulations Objective Future Champions Jason Waterhouse and Lisa Darmanin on your selection to represent Australia in the 2016 Rio Olympic Games. To go for gold, first one must make the starting line. Today is not the realisation of the goal, today is the realisation of the opportunity to go for the goal. To go for GOLD! A great deal of literature and examples exist supporting the 10 year/ 10 thousand hours of deliberate practice associated with the achievement of excellence. It’s no coincidence that 2015 is the 10 year milestone of your teams commitment towards deliberate practice, towards the achievement of excellence. Today attention will be centred on the amazing victories that reward you with this opportunity to make the start line. It would be wrong however to not also celebrate the open minded character, resilience, determination and positive attitude required to overcome the 99 failures you have encountered along the way to achieving each victory. All young sailors aspiring to follow in your footsteps but constantly falling on their face should take note that its your proven ability to pick yourself up, dust yourself off, take away a lesson and apply it in going forwards that has got you to this point. There has been nothing easy about your journey and that’s why you thoroughly deserve this opportunity to test yourself against the worlds toughest competitors in the worlds toughest competition… The Olympic Games. You are an inspiration to the Future Champions who today will continue their journey on the water as they strive towards 2024, falling on their faces, dusting themselves off, learning, applying and getting on with the job of achieving excellence. 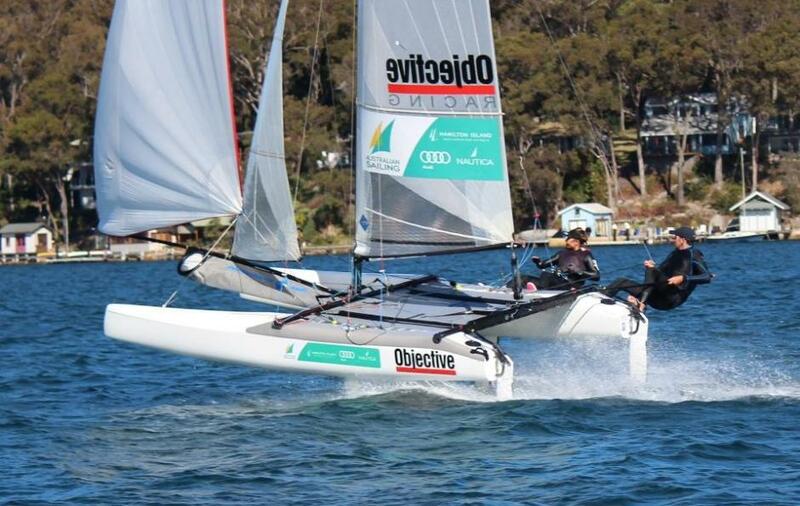 April 2013 - Community News: Jason Waterhouse and cousin Lisa Darmanin Nacra 17 debut at ISAF Sailing World Cup Hyeres in the South of France. 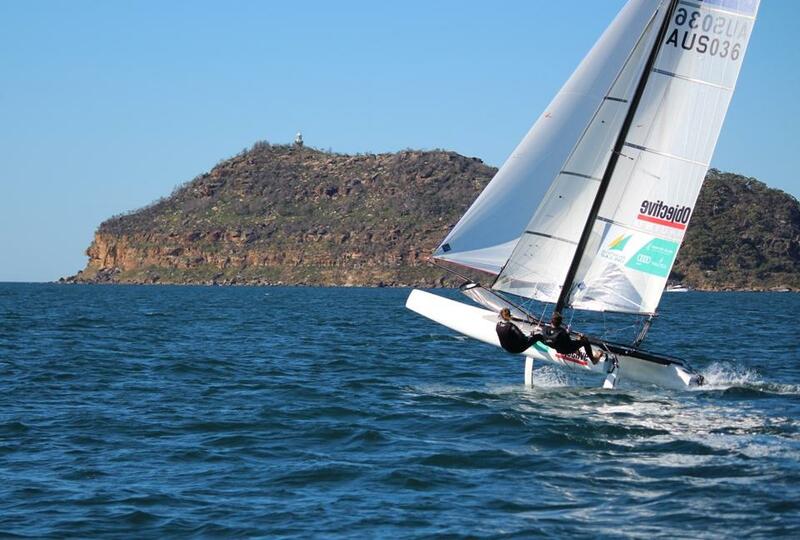 The pair are no strangers in the multihull having won the ISAF Youth Worlds multihull gold in 2009. Early Christmas presents for ISAF Sailing World Cup medallists by Lisa Ratcliff - Pittwater sailors excelling in Melbourne!